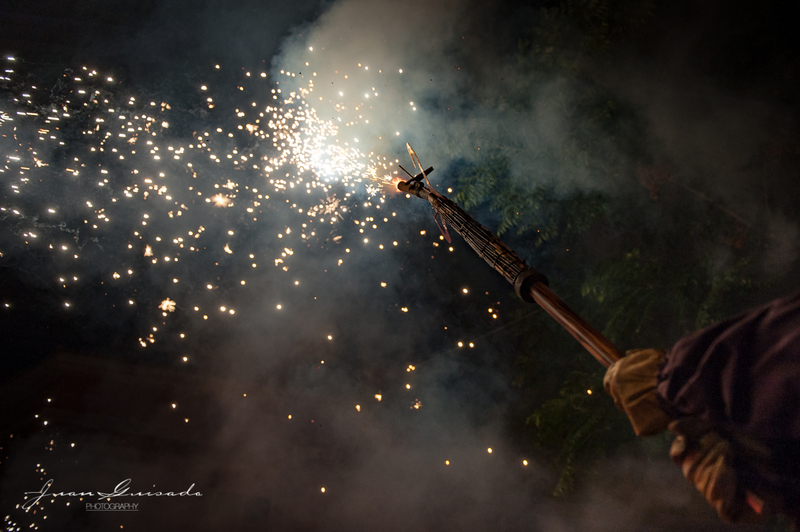 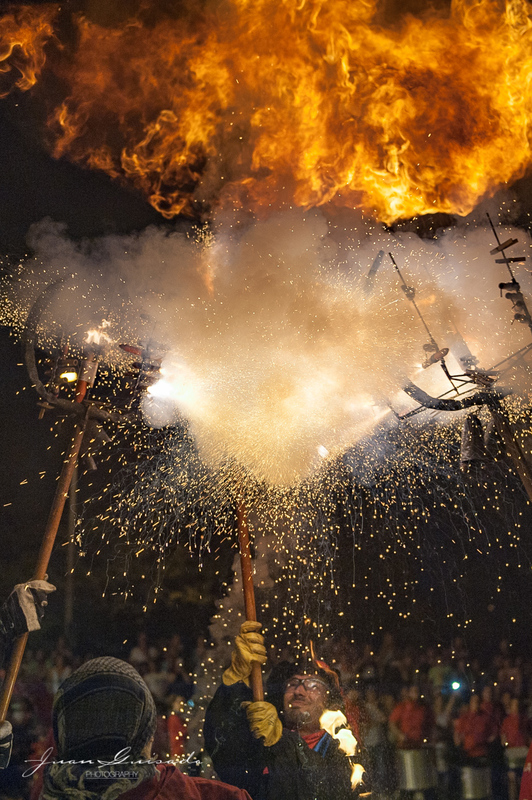 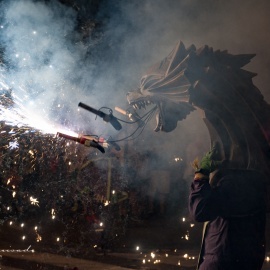 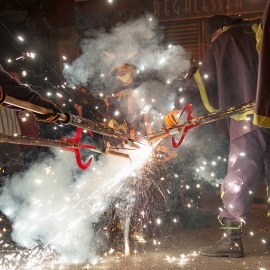 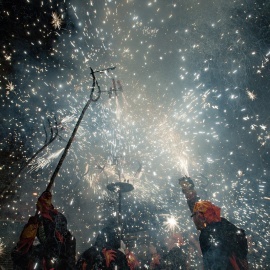 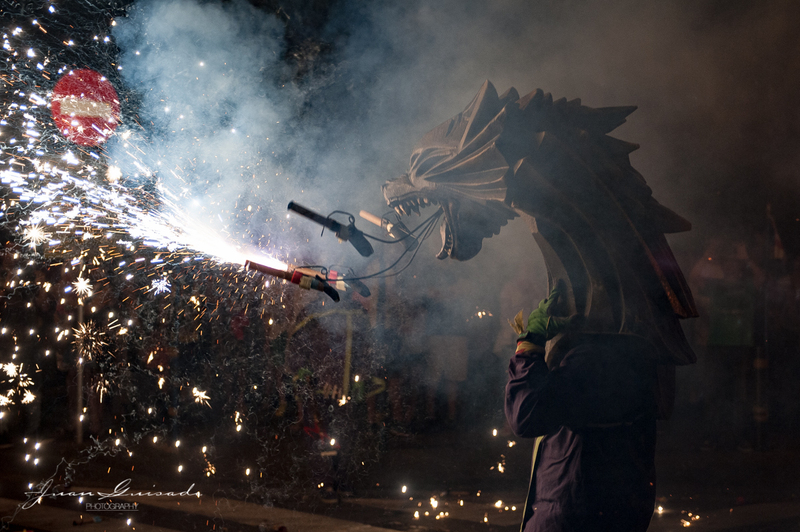 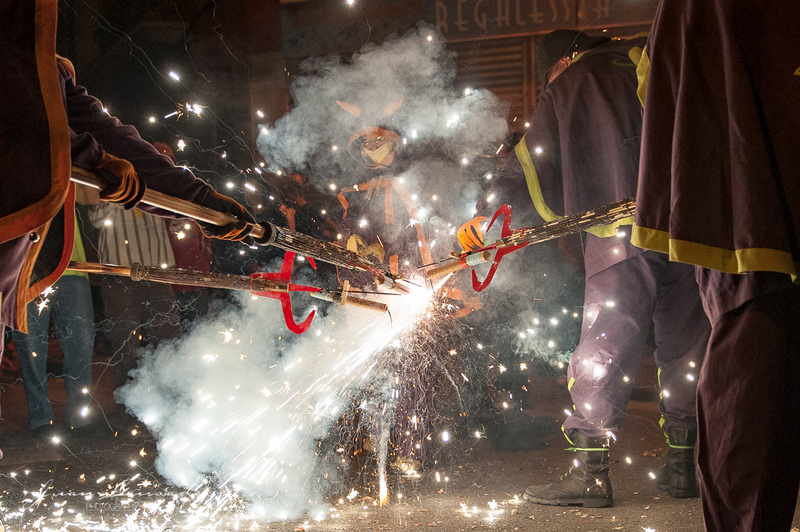 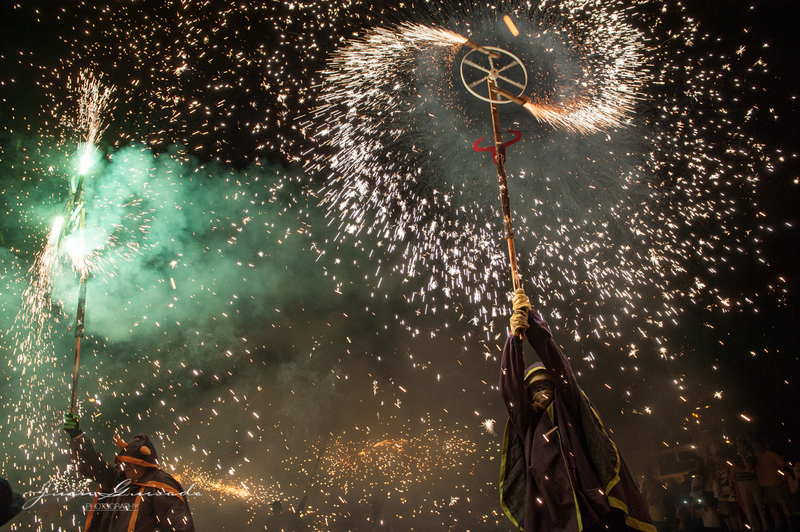 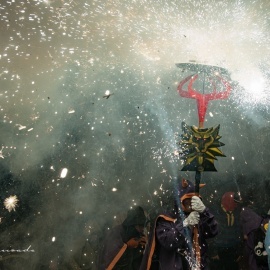 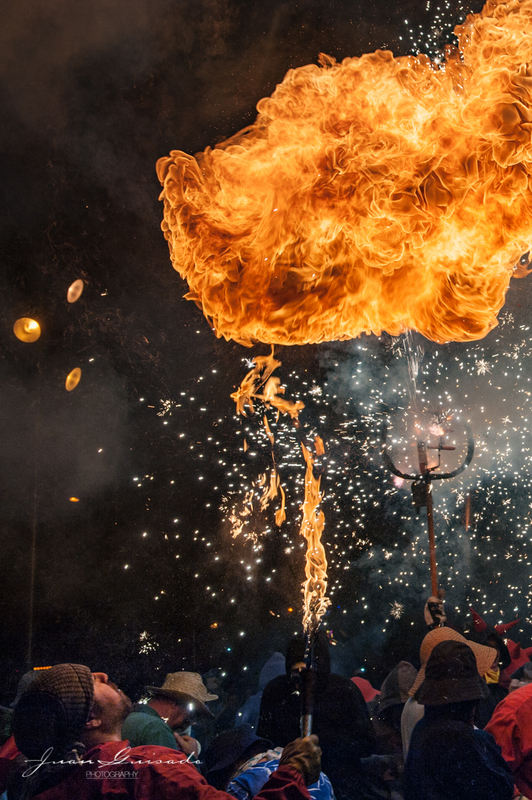 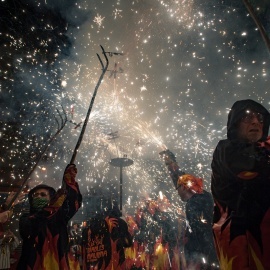 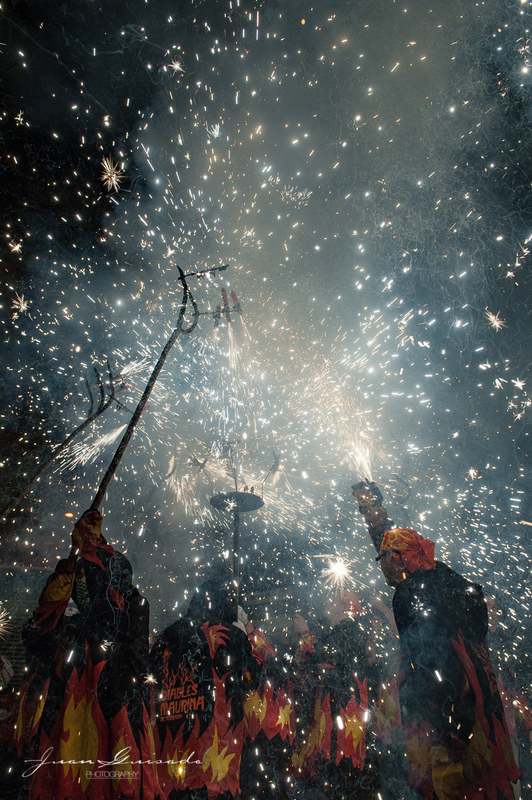 Correfocs ([ˌkorəˈfɔks], [ˌkoreˈfɔks]); literally in English "fire-runs") are among the most striking features present in Catalan festivals. 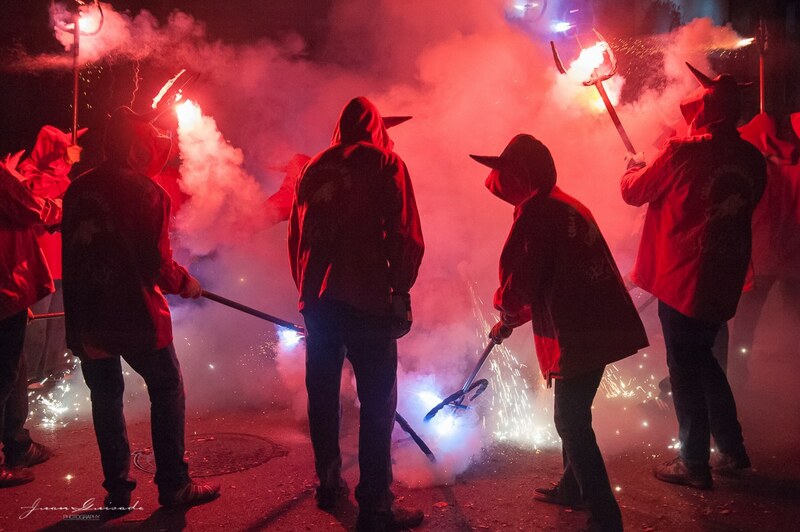 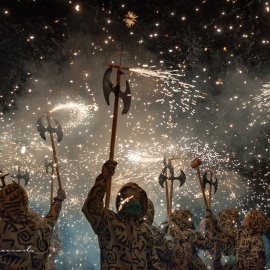 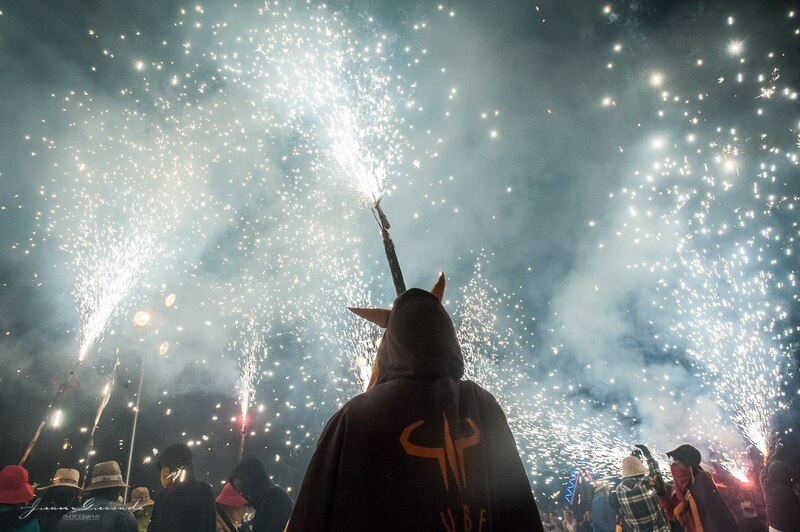 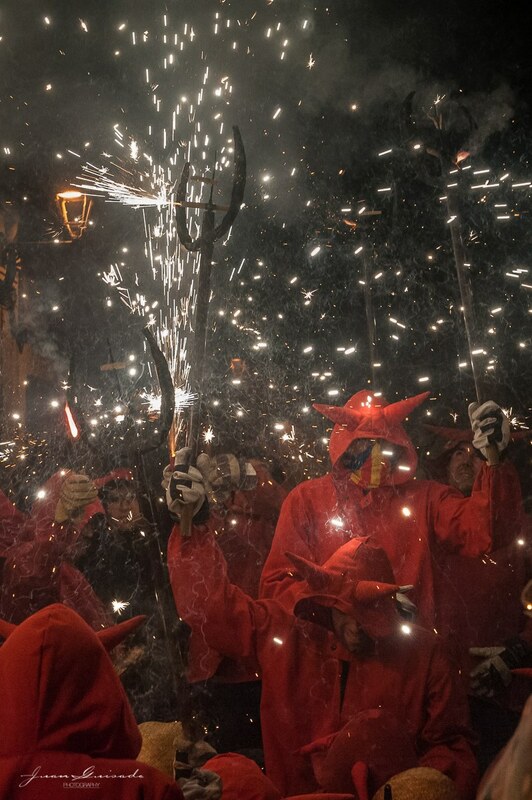 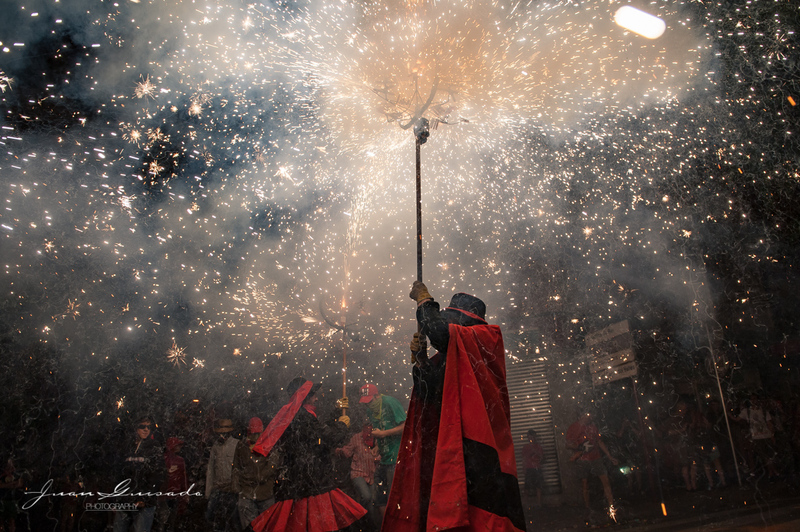 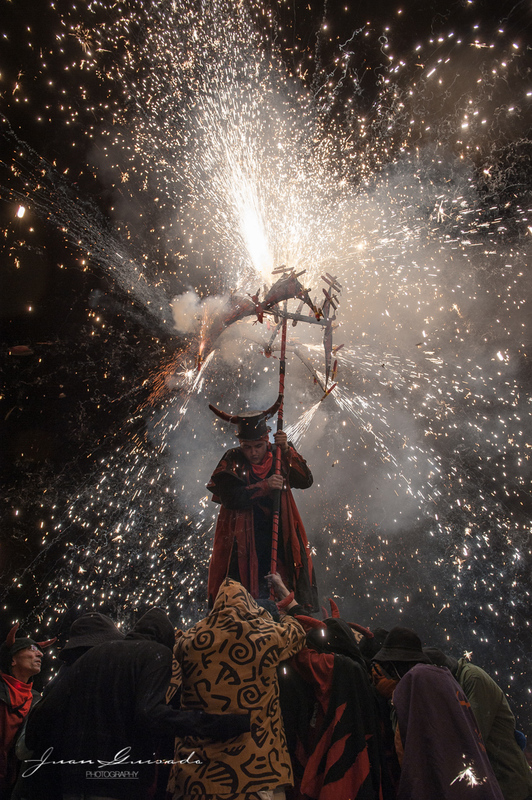 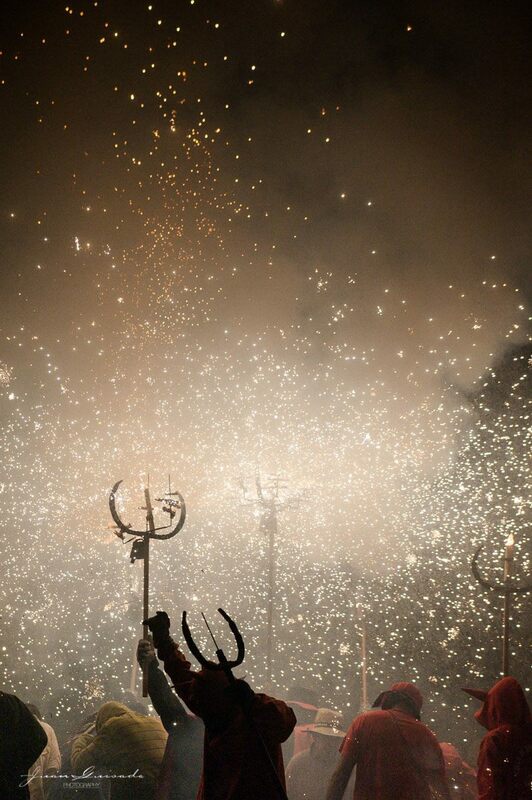 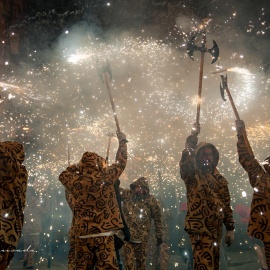 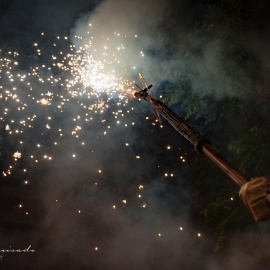 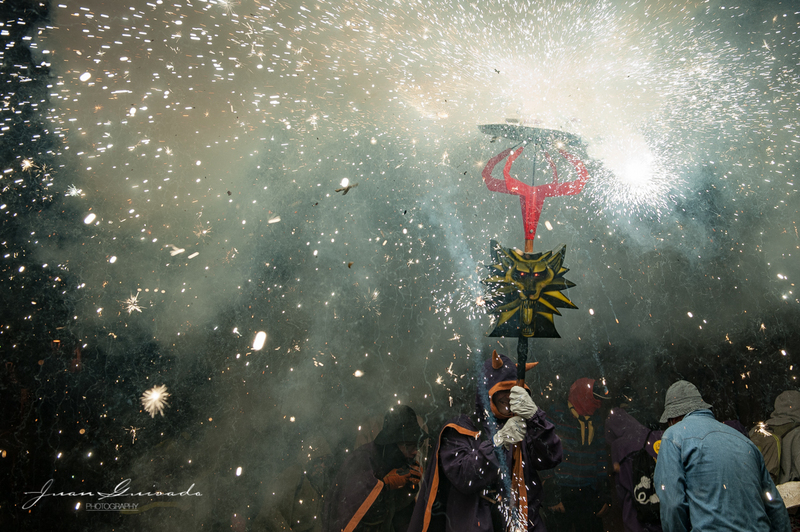 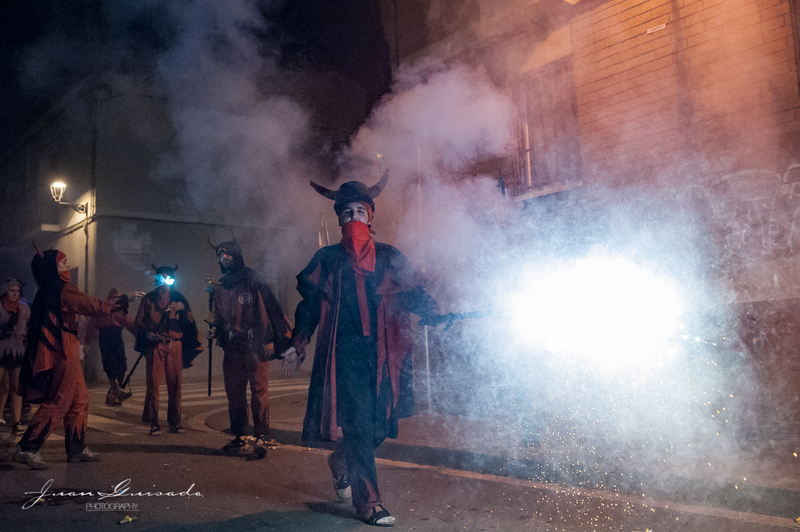 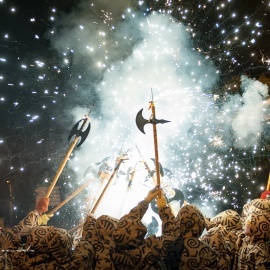 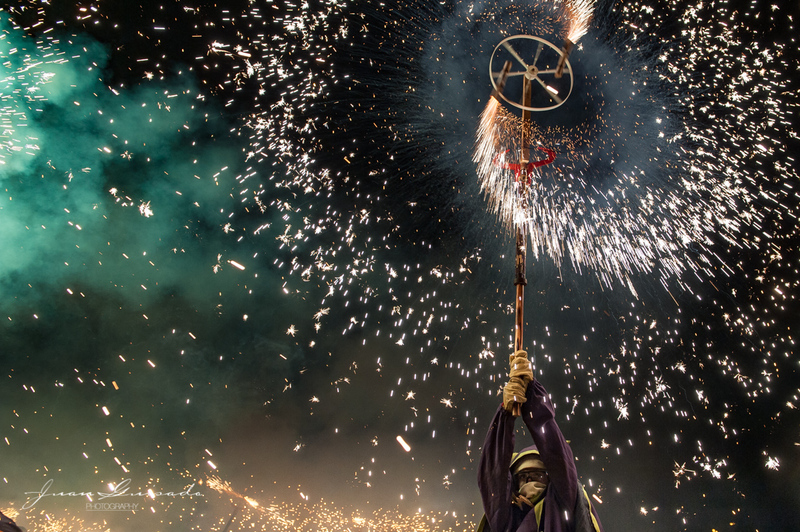 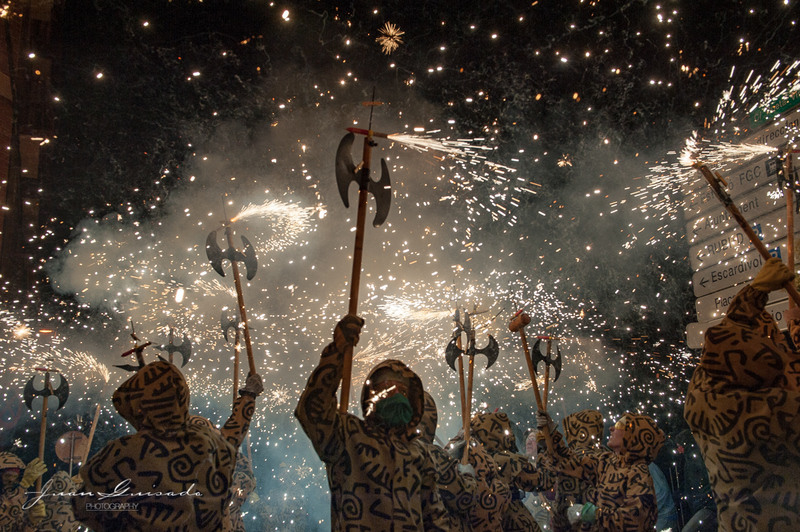 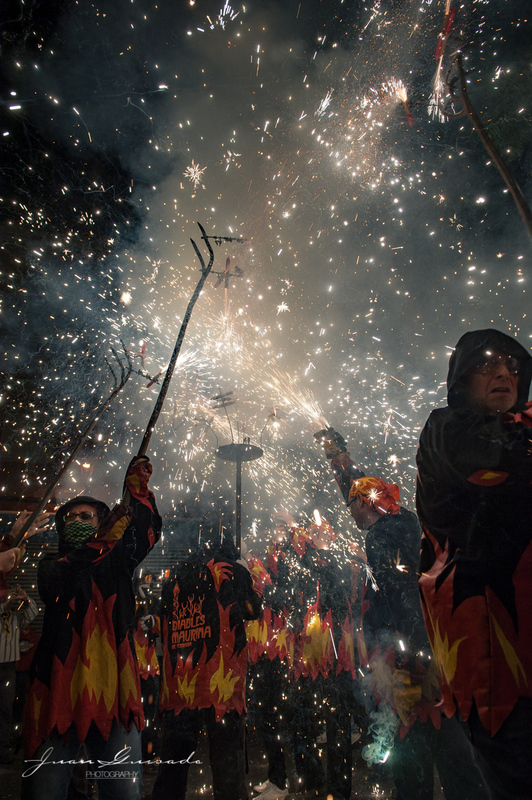 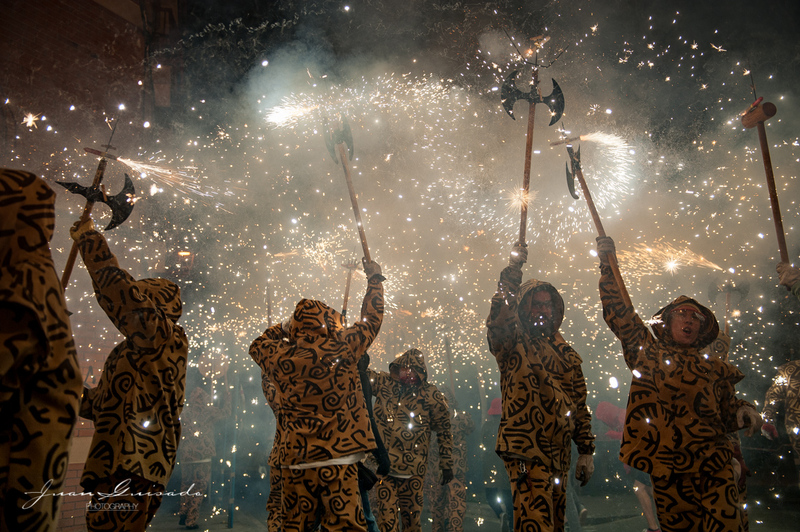 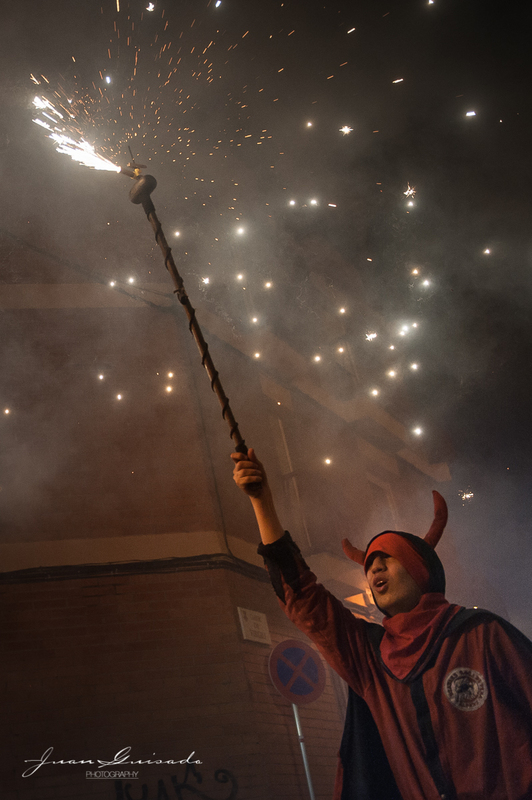 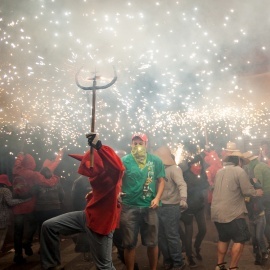 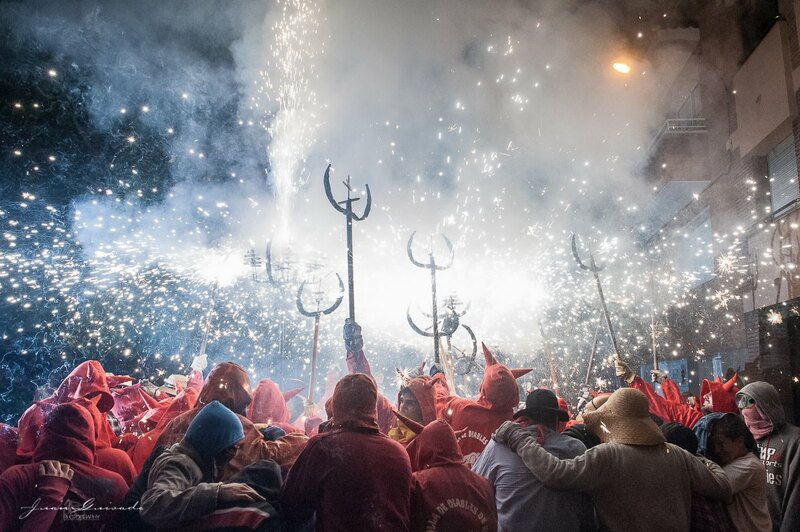 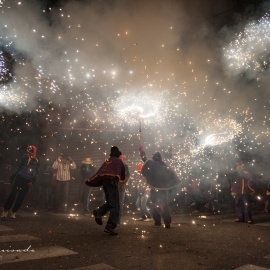 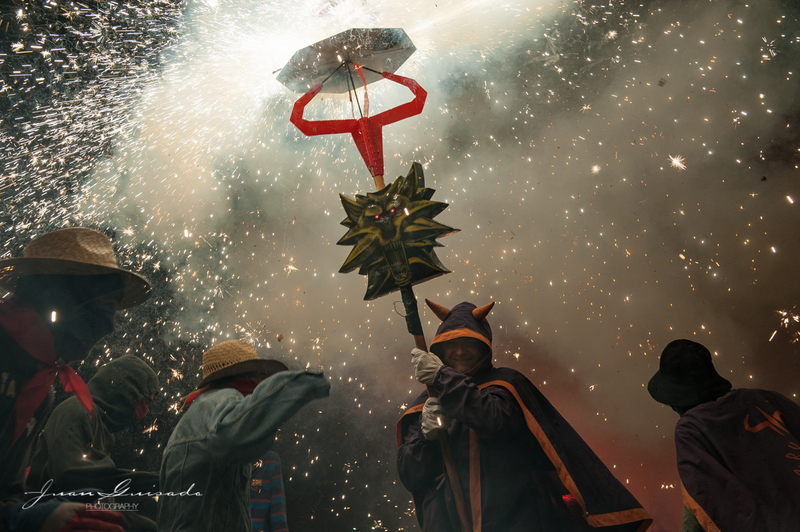 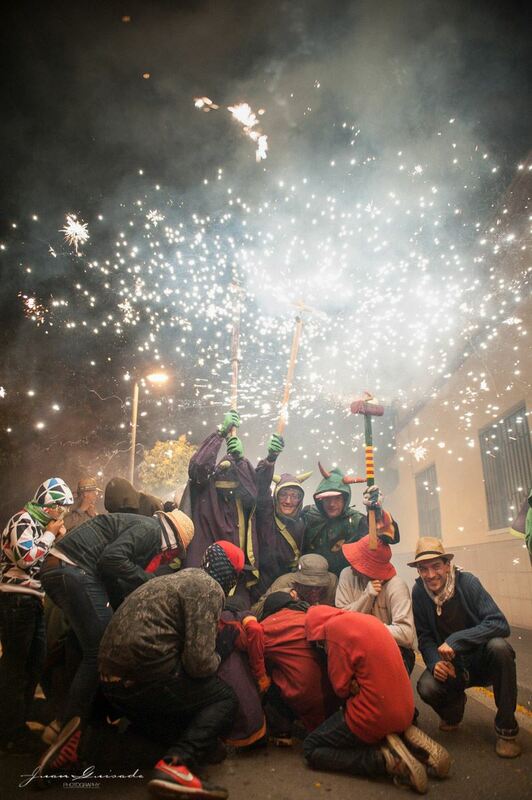 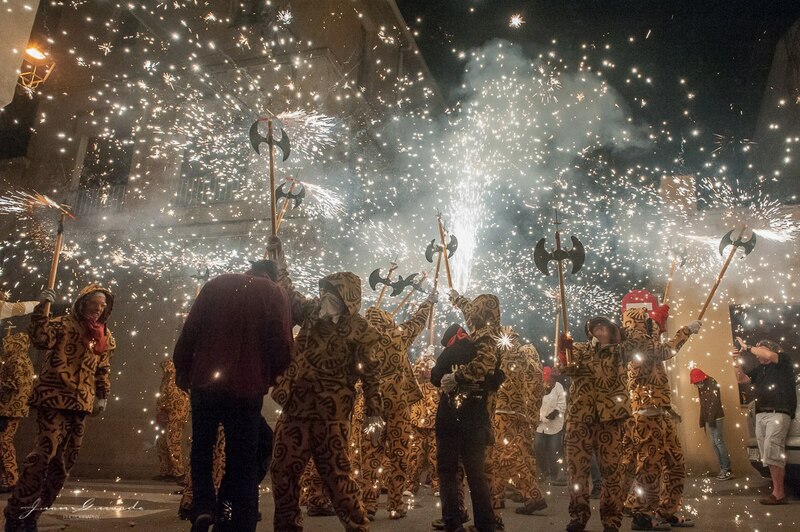 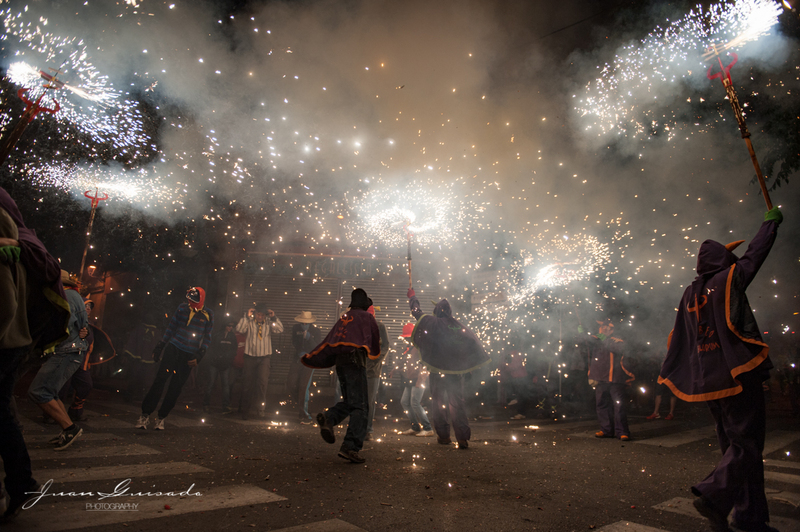 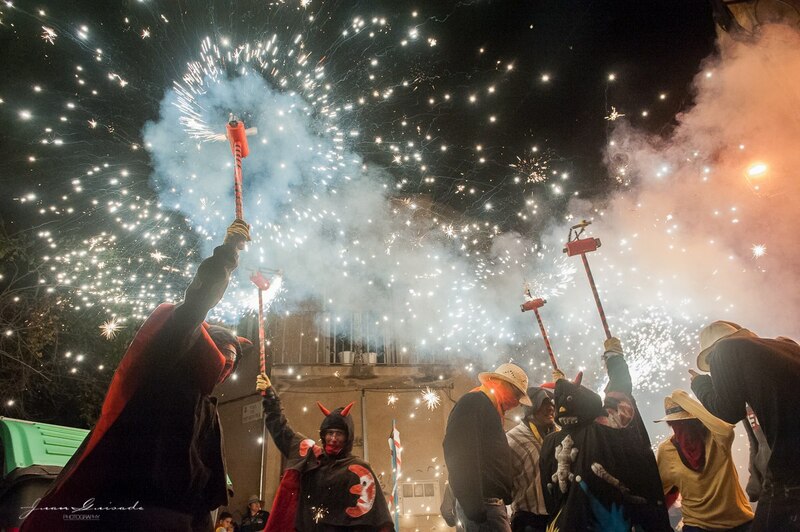 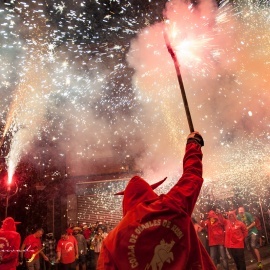 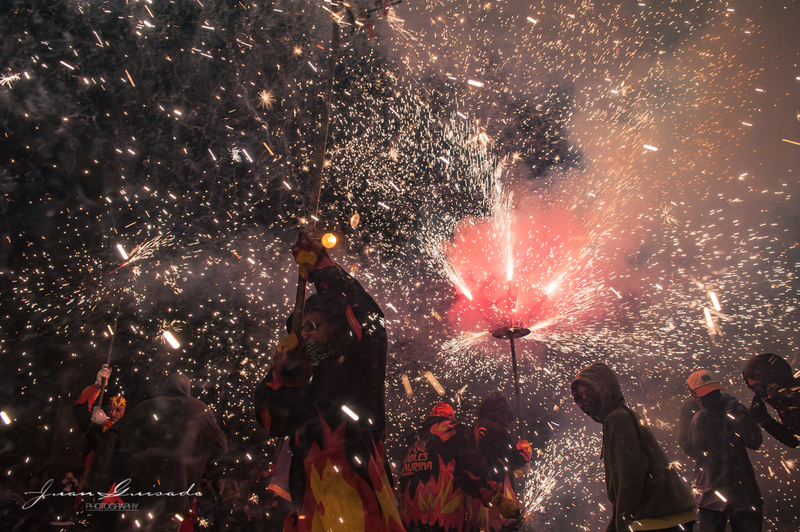 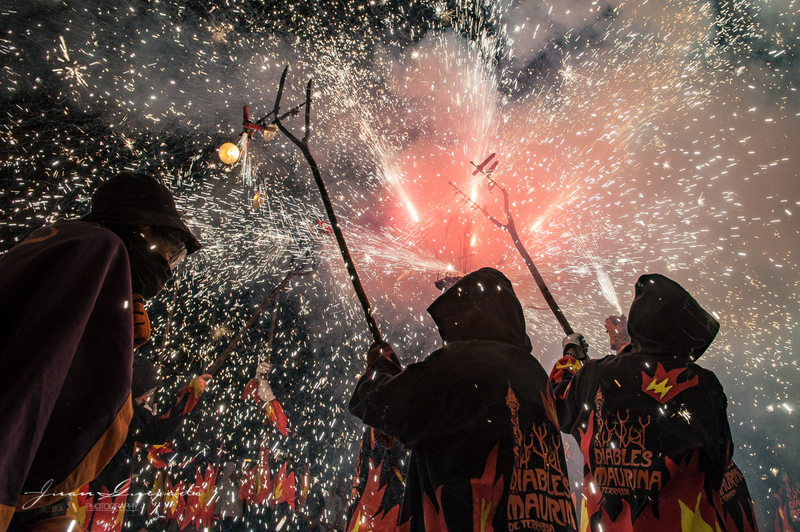 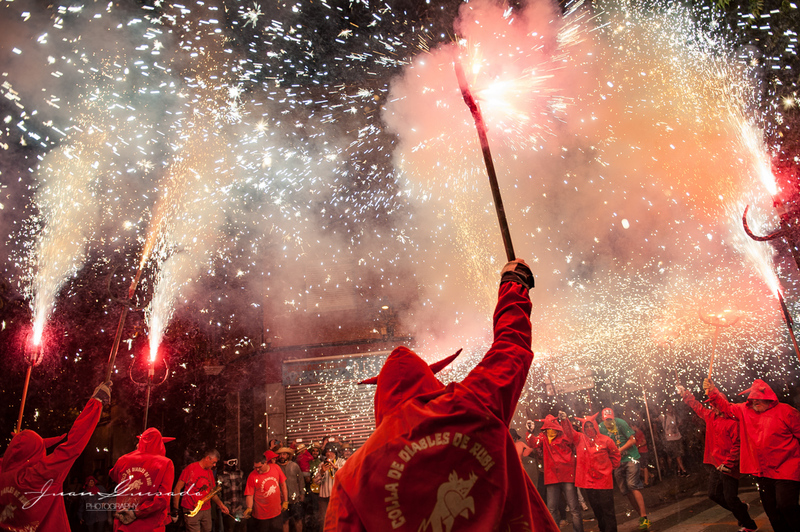 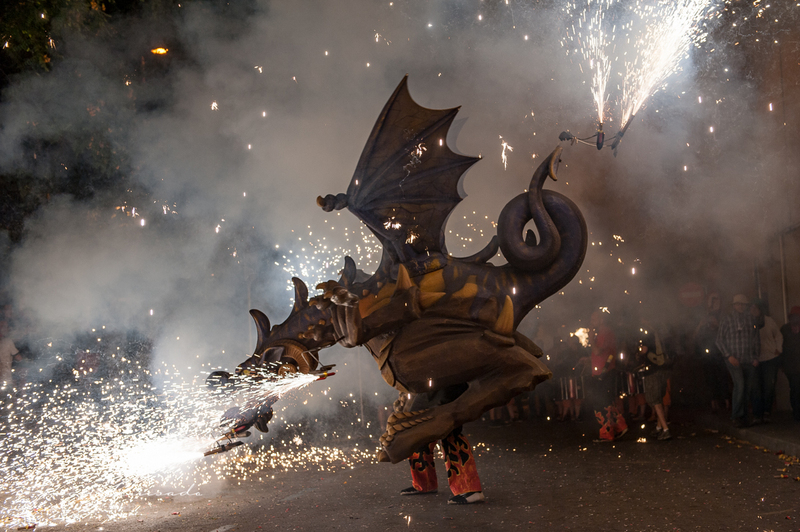 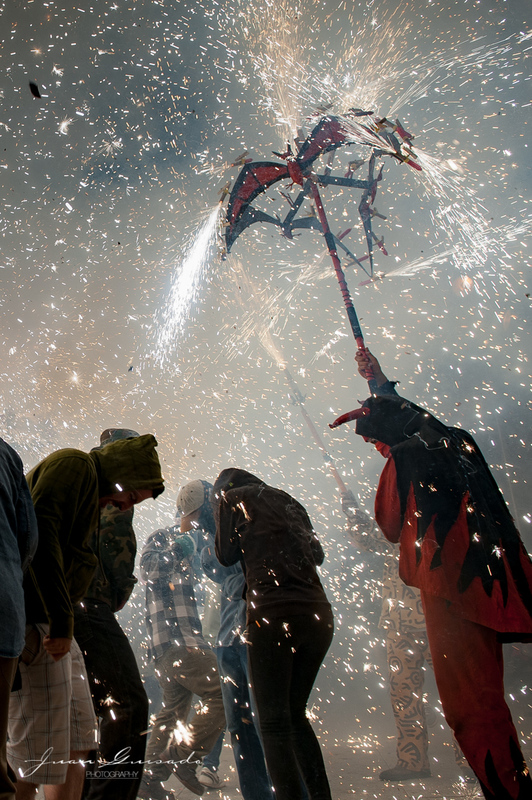 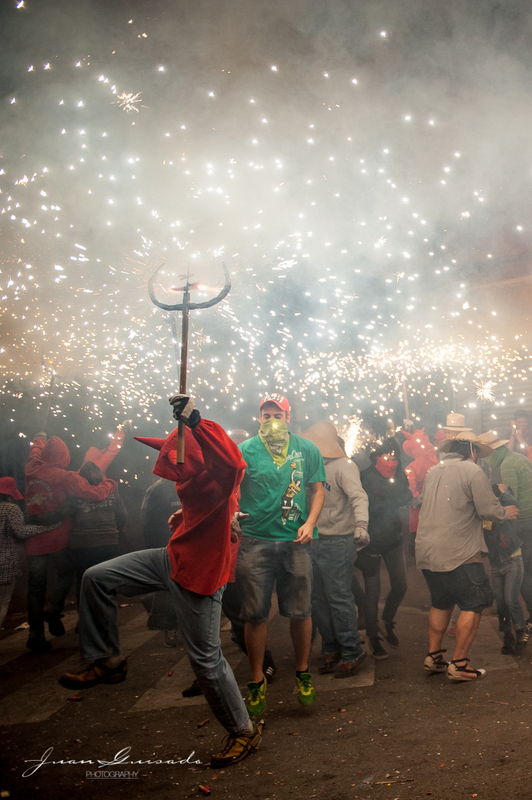 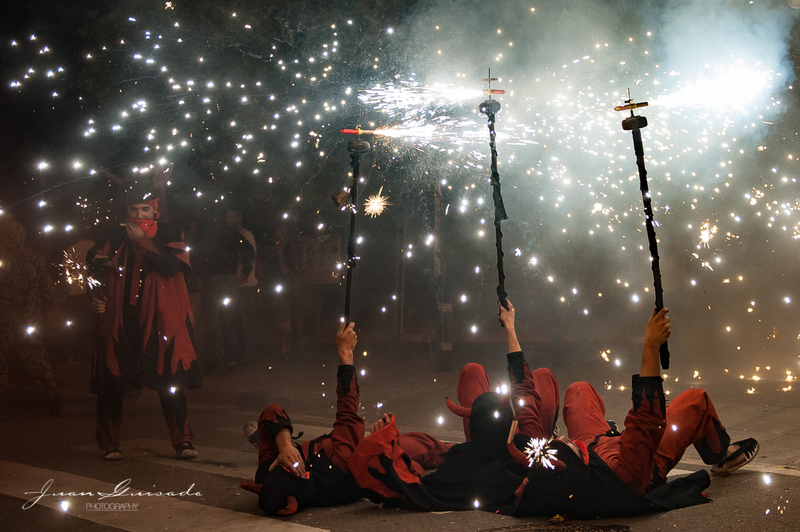 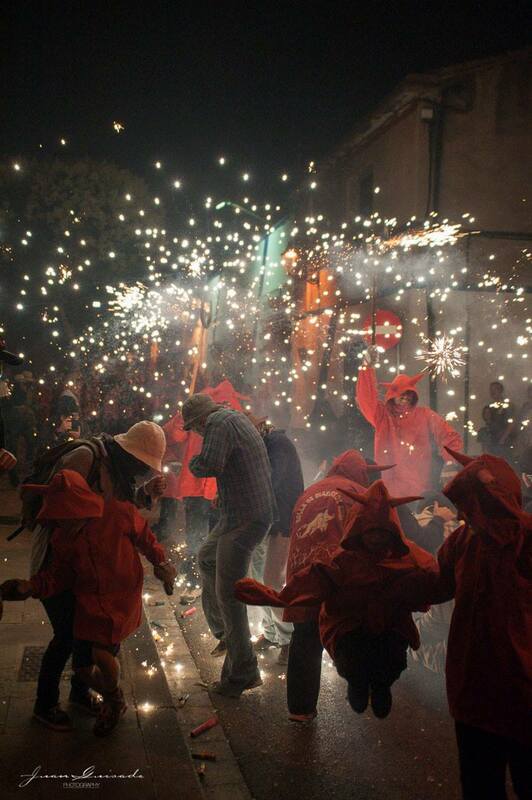 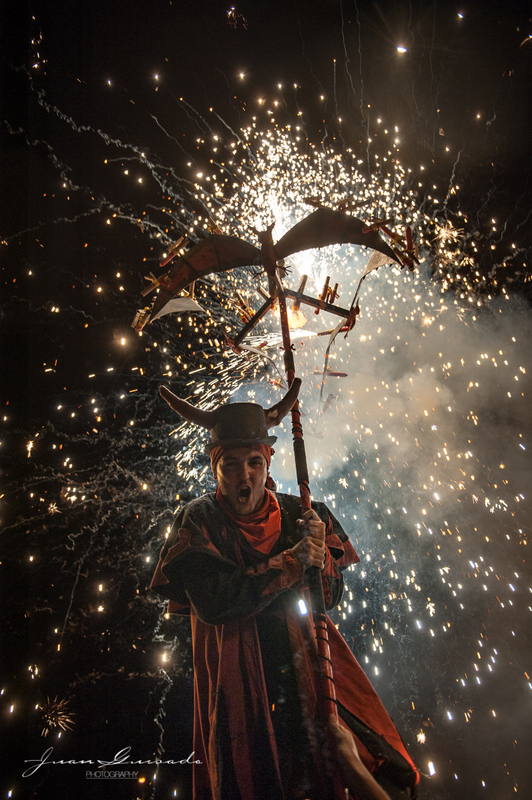 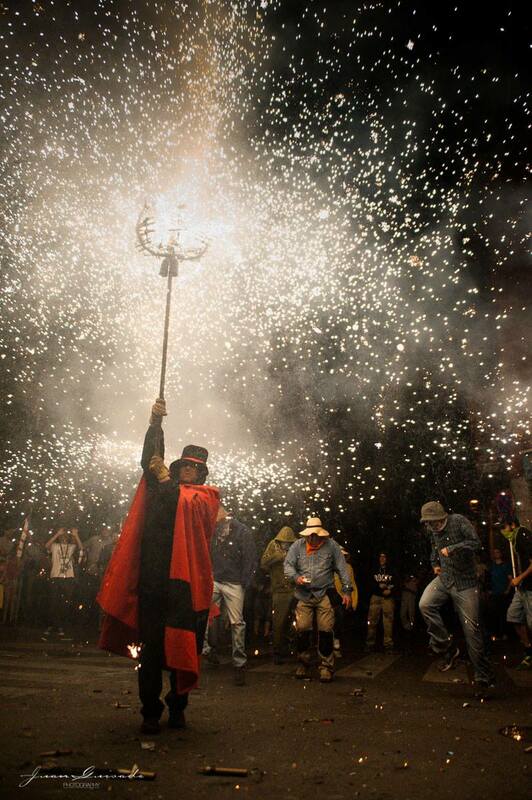 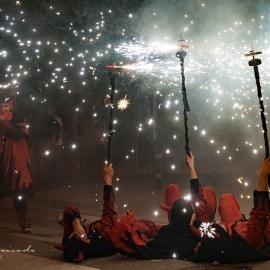 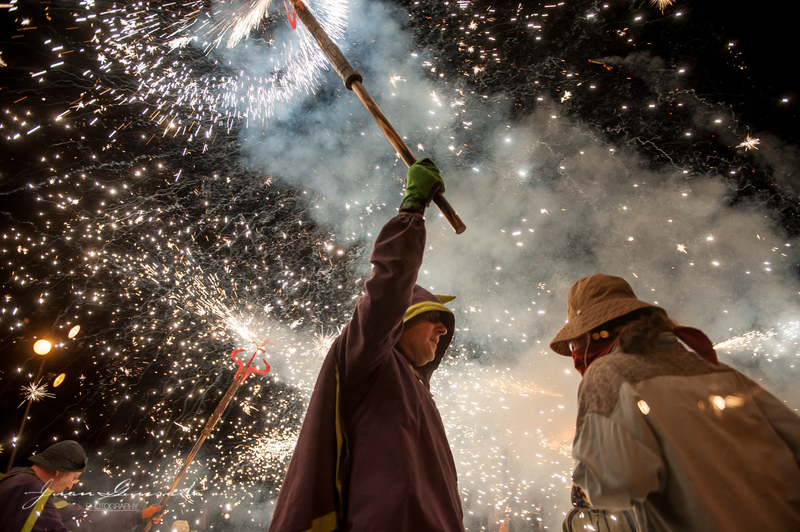 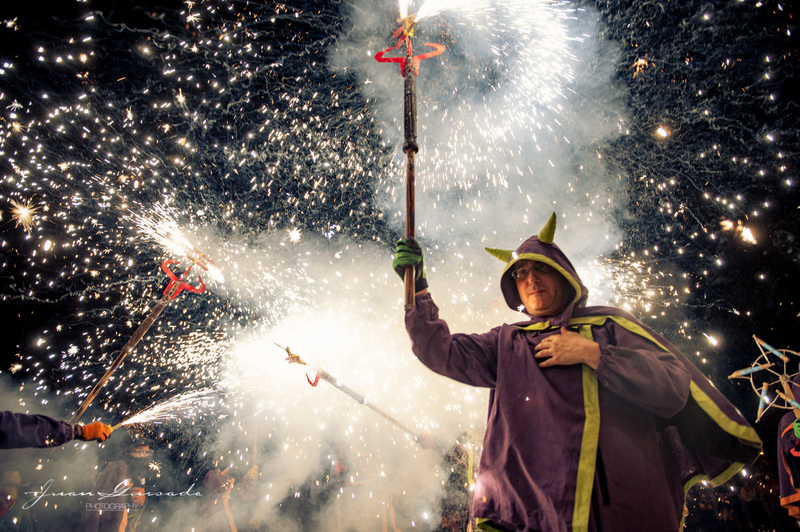 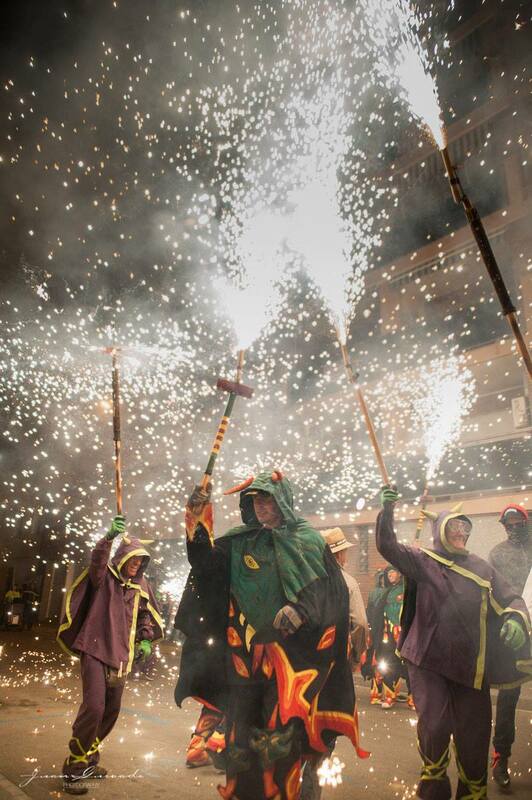 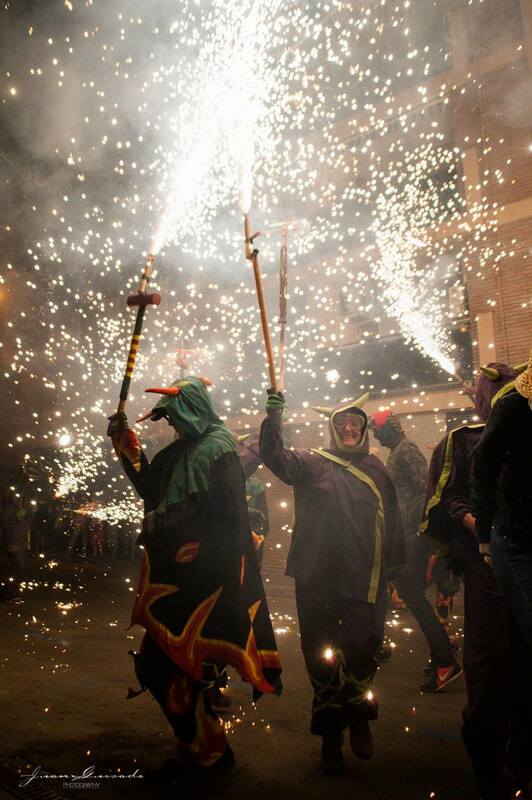 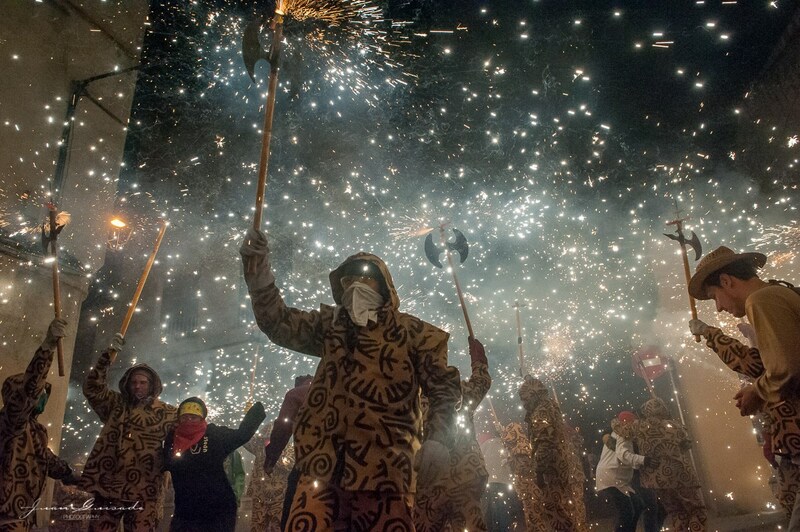 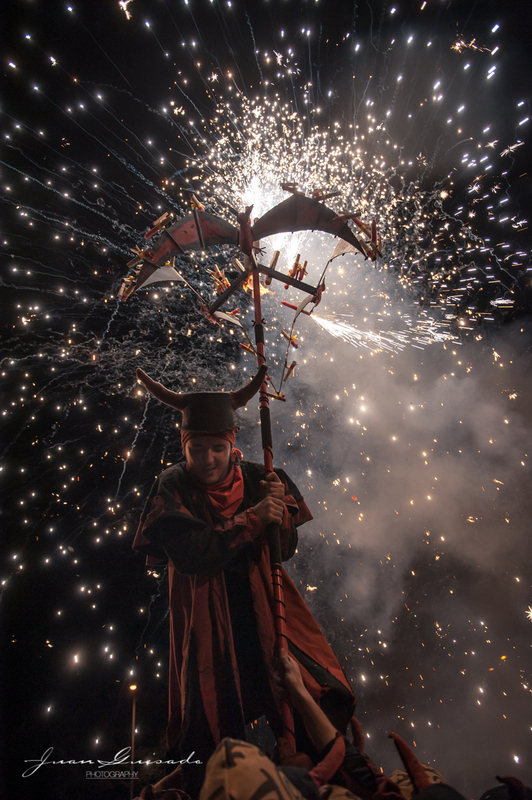 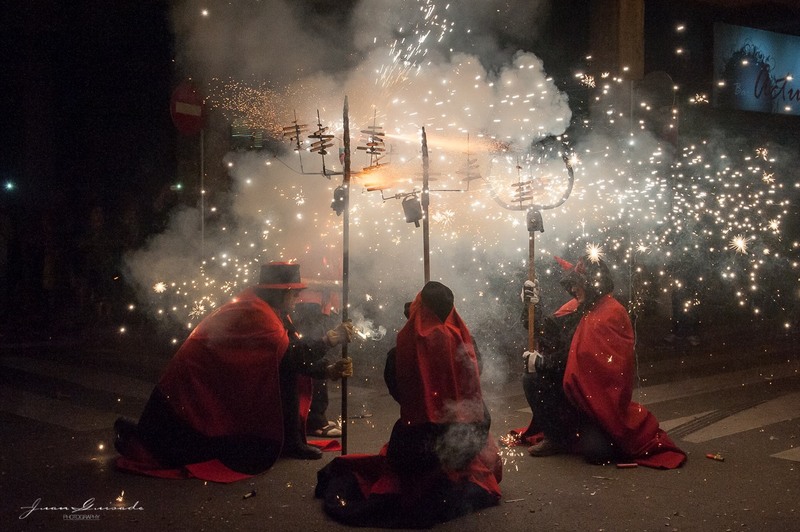 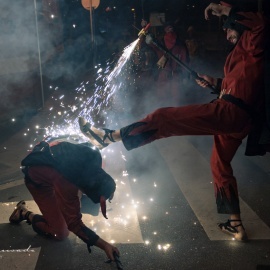 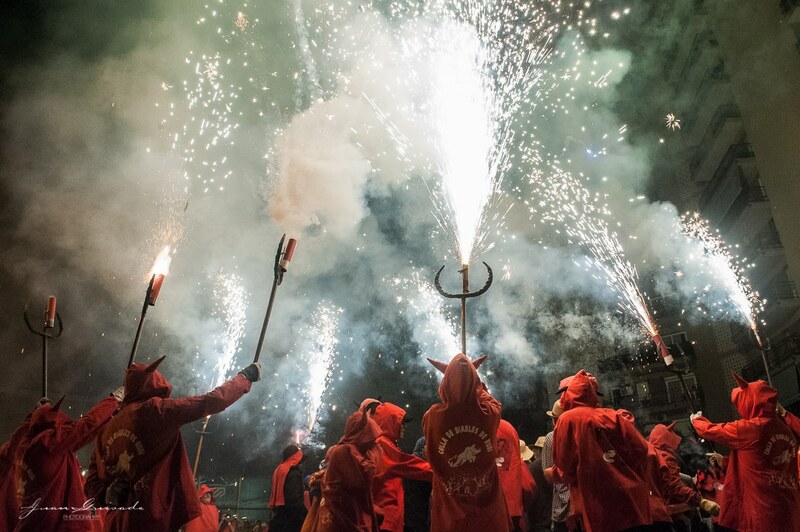 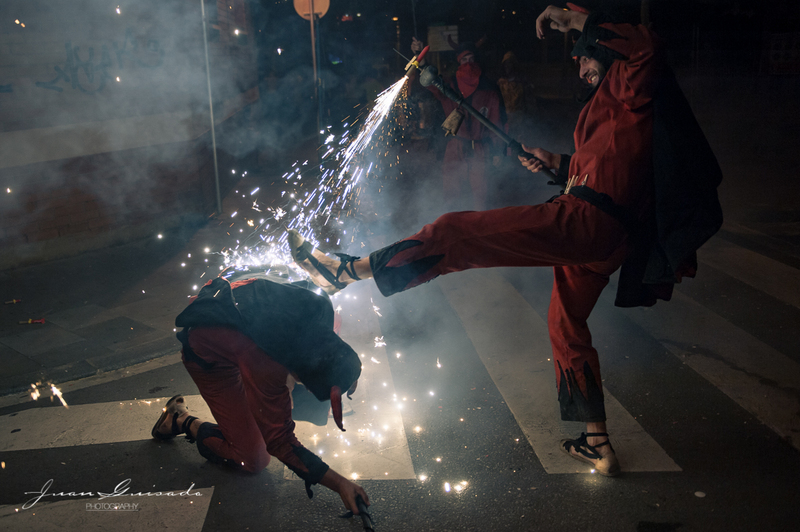 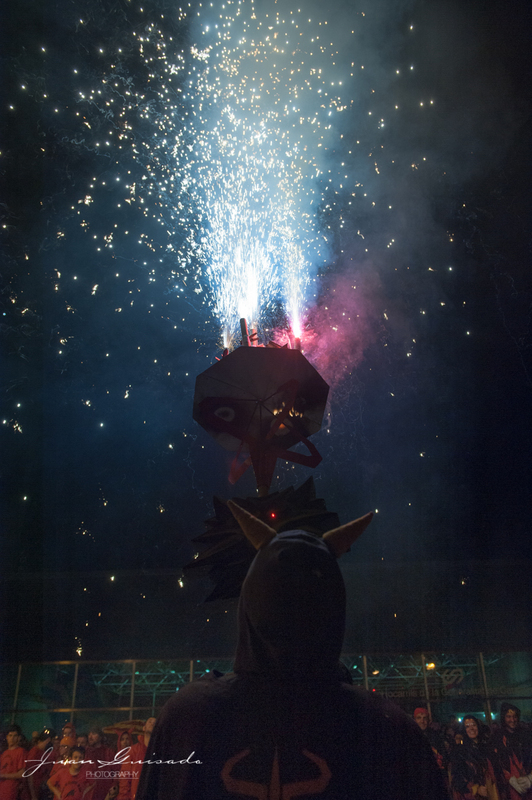 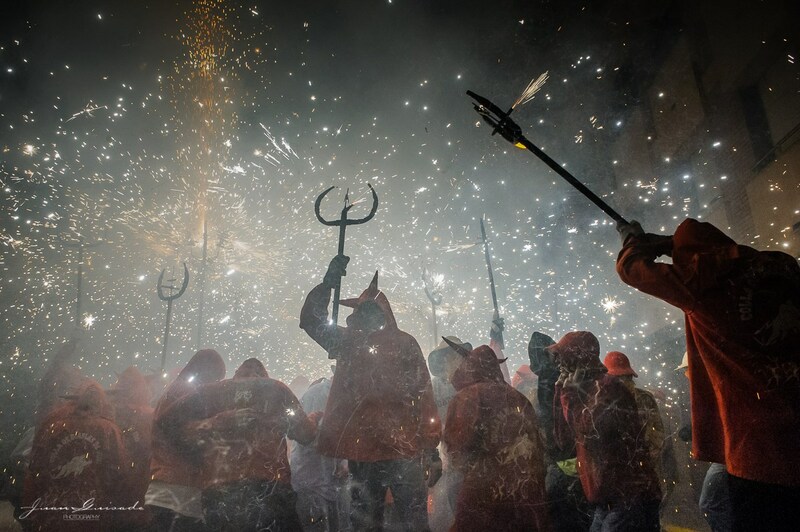 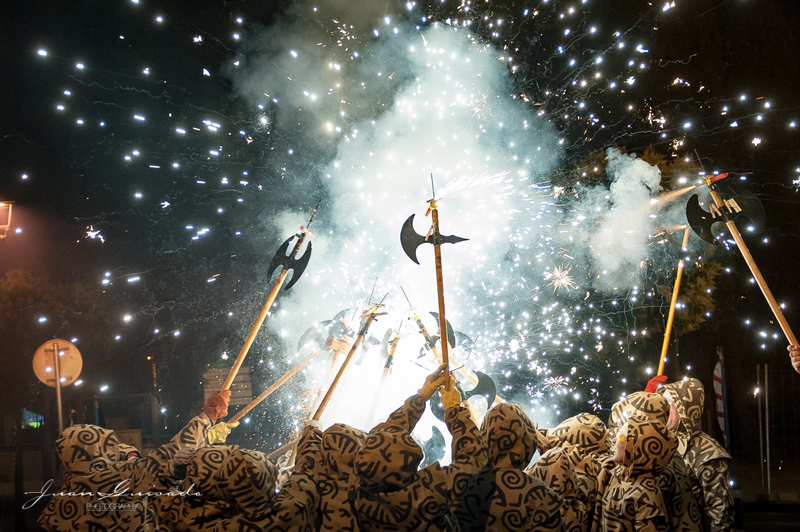 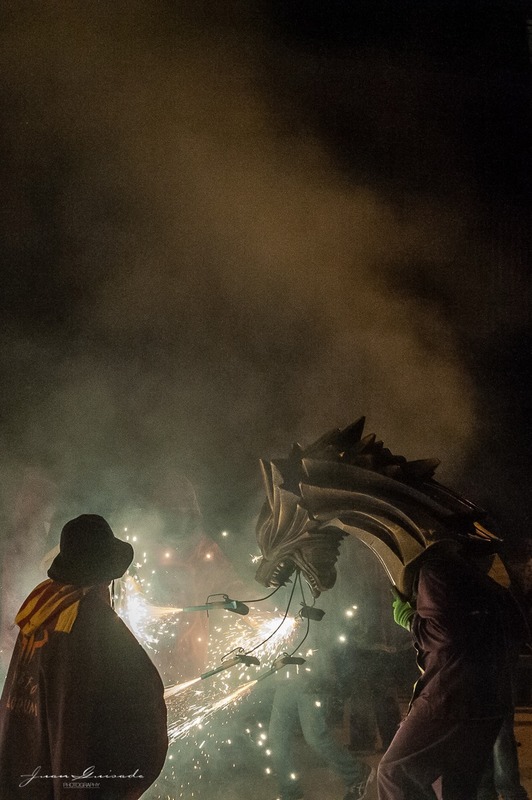 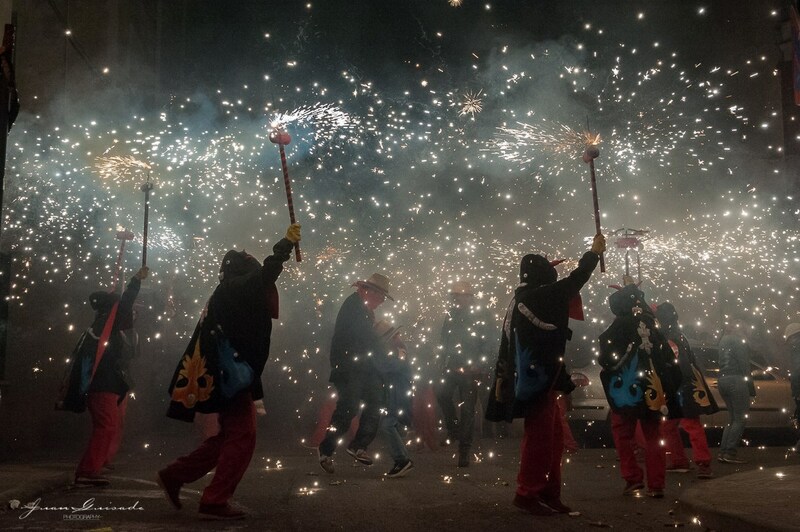 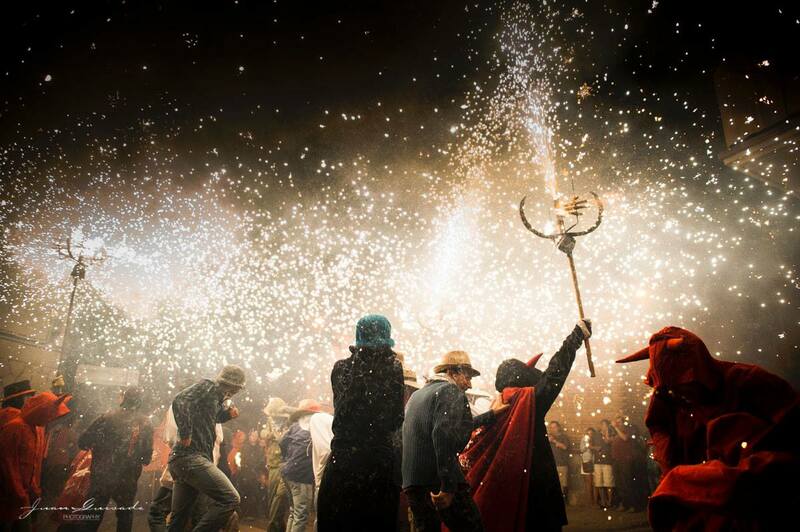 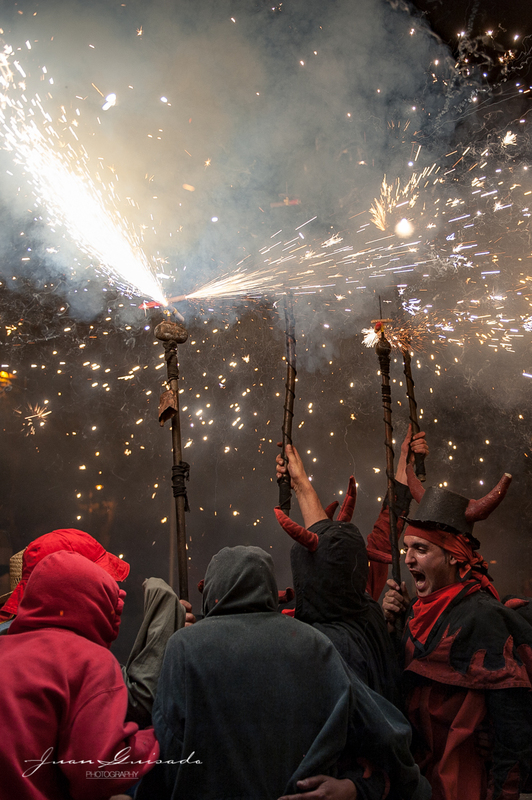 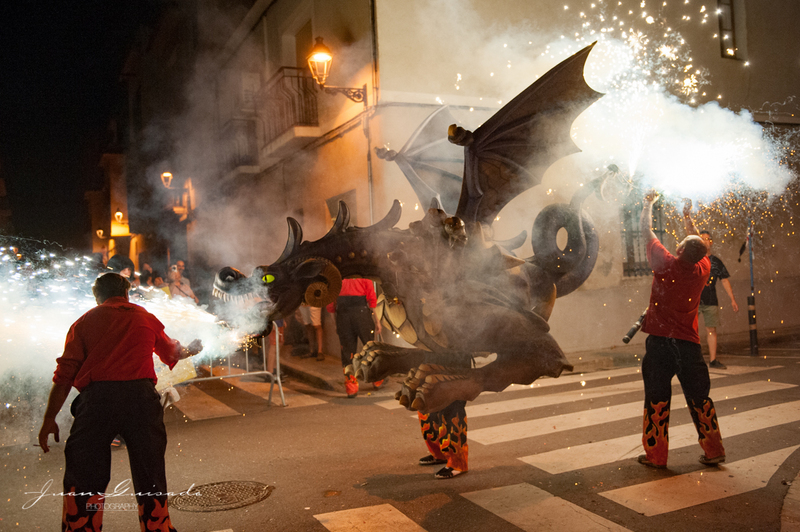 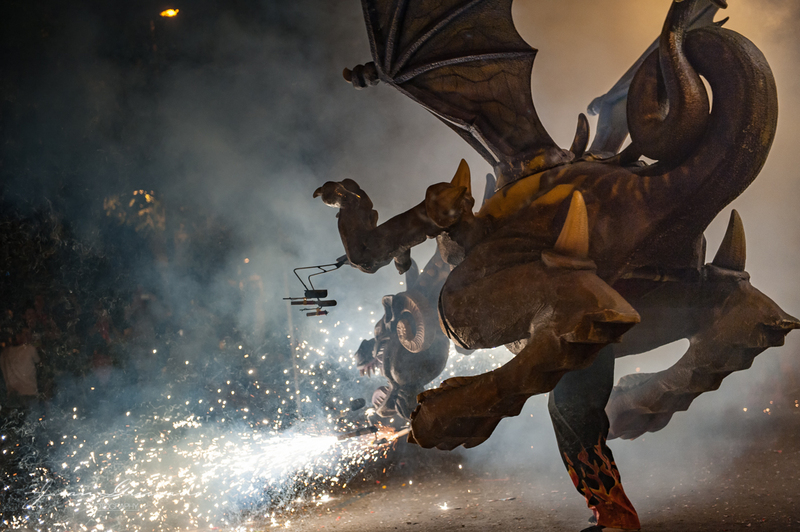 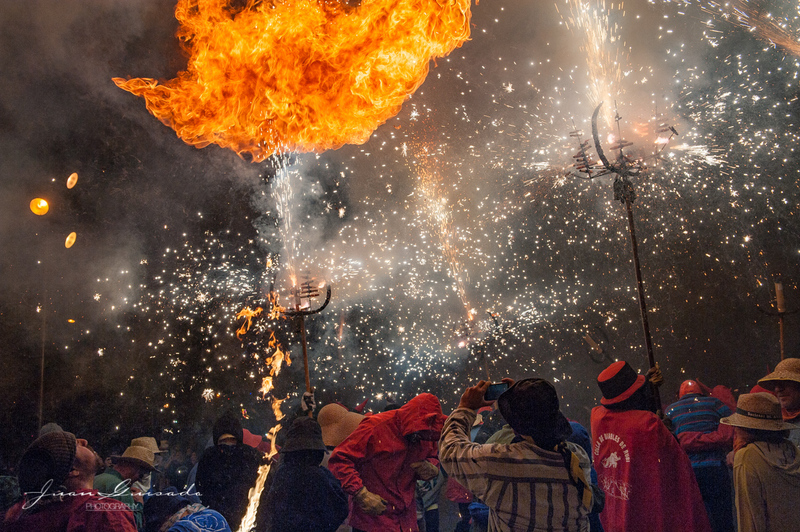 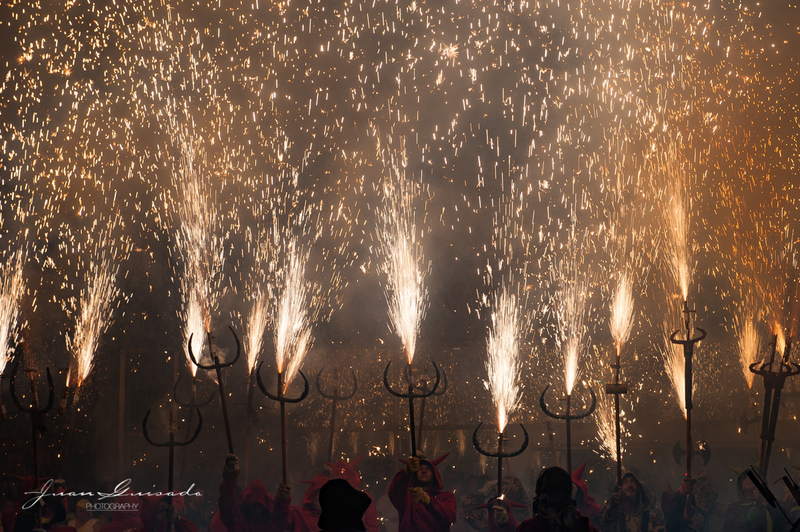 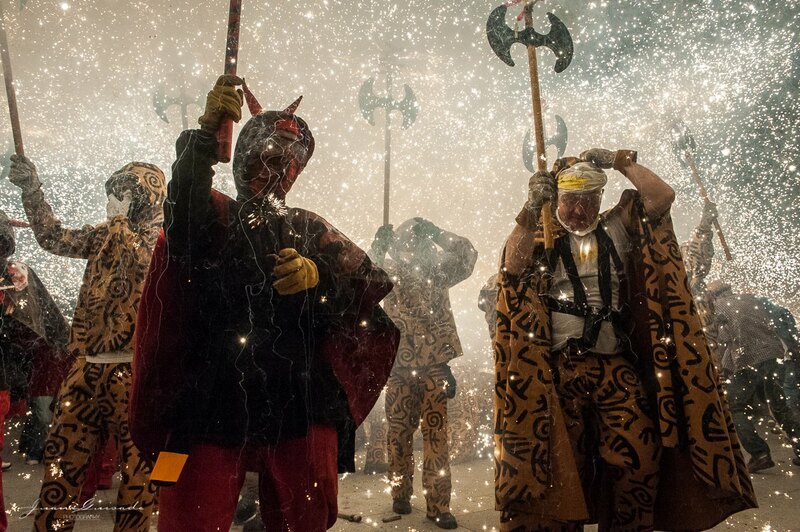 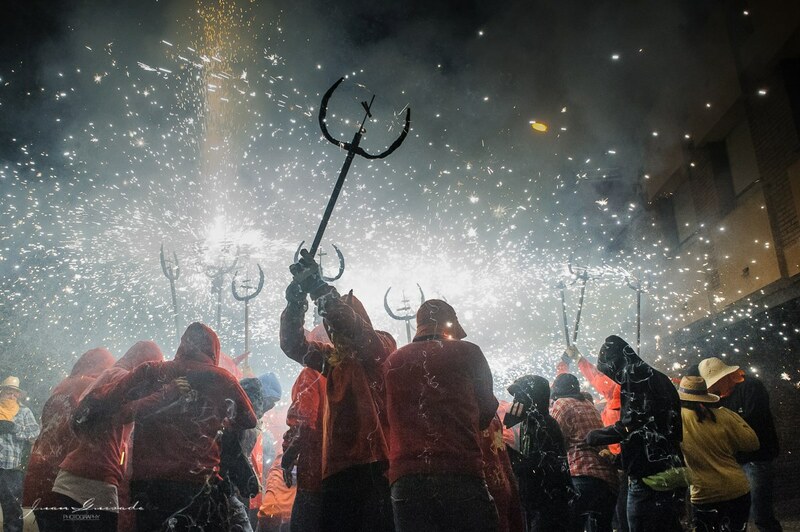 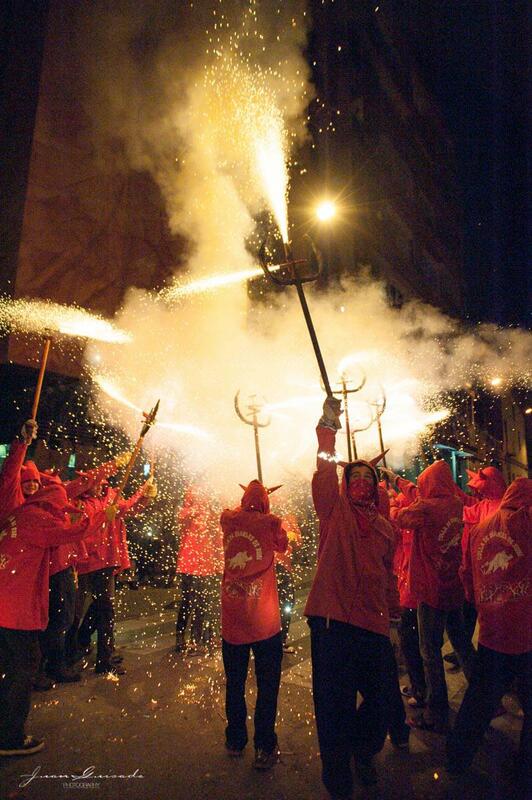 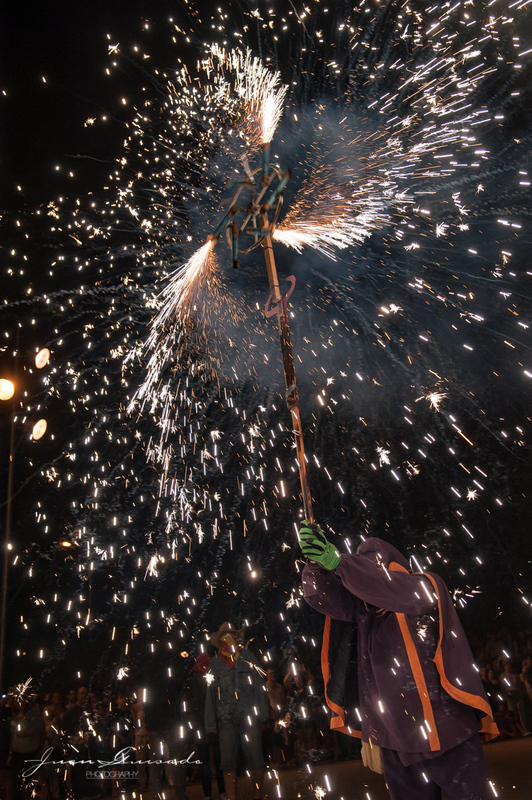 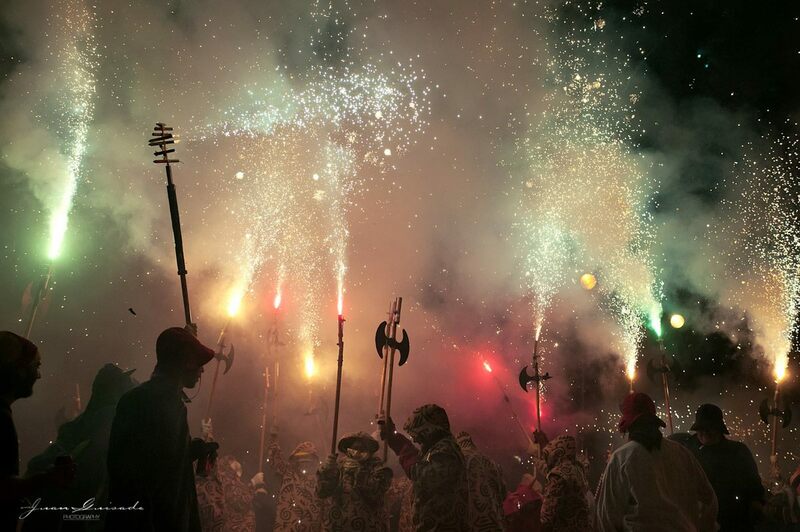 In thecorrefoc, a group of individuals will dress as devils and light fireworks. 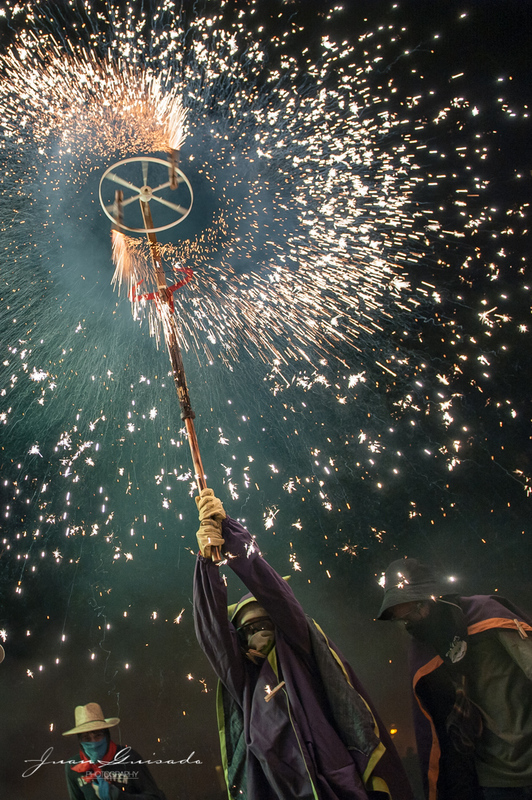 While dancing to the drums of a traditional gralla, they will set off their fireworks among crowds of spectators. 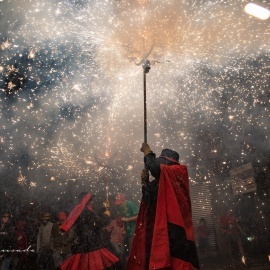 No hay Festa Major que se precie sin un buen correfoc, uno al año he de ir y si puedo fotografiar.